Kennedy head coach Mario Millan, right, celebrates with assistant coach John Paredez after the Thunderbirds beat Shafter 30-28 in the Central Section Division V championship game last Friday. Kennedy is on the road at Los Angeles-Garfield on Saturday at 6 p.m. for a CIF Southern California Division 4-A regional playoff game. They were a high-end middle school program and then six of those players were called up to varsity as freshmen when Millan was an assistant coach for Dennis Moody in 2015. Coincidentally, that was the last time the Thunderbirds won a Central Section title. Those seniors paved the way for Kennedy's best season in school history. The Thunderbirds went 13-2, won the D-V section championship and advanced to the CIF Southern California regional playoffs for the second time. 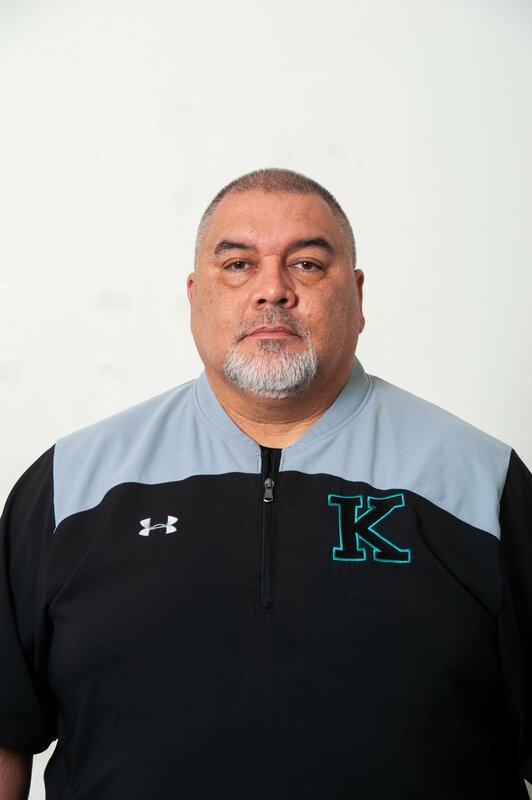 Millan, now the head coach at Kennedy, is the 2018 BVarsity All-Area Football Coach of the Year following that historic showing. Tyreak Walker led the section with 2,219 rushing yards and scored 32 touchdowns, including 30 on the ground. Yocanni Sandoval added another 1,288 rushing yards and 20 scores behind an offensive line led by Ivan Garza. Millan had an idea this was going to be a special season when Kennedy beat Highland on the road, 41-19, on Aug. 31. He was reaffirmed of that belief the following week, when his team beat small-school power Liberty-Madera Ranchos, 32-14, despite having two starters out. "That put us on the right trajectory," Millan said. After Shafter beat Kennedy, 47-14, in the regular season finale, the Thunderbirds made good on the rematch with a 30-28 road win over the Generals in the D-V finals. “The biggest thing about that was I wasn’t sure how our guys were going to go into that game. But during that week of practice, our kids had a chip on the shoulder. We were pleased with their attitude. They had a great attitude and were on a different level. They were loose,” Millan said. Kennedy fell 42-10 to Los Angeles-Garfield in the SoCal D-4A regional playoffs, but walked away from that game knowing how special the players and coaching staff really were.